In 1967, a Saturday morning Russian school was conducted by a group of parents in the hall of one of the Russian Orthodox Churches in Vancouver. In 1970, this school was moved to the Russian Community Centre. There were approximately 40 students enrolled. In the morning there were lessons in Russian reading and writing. In the afternoon, there was choir, orchestra, and folk dancing. 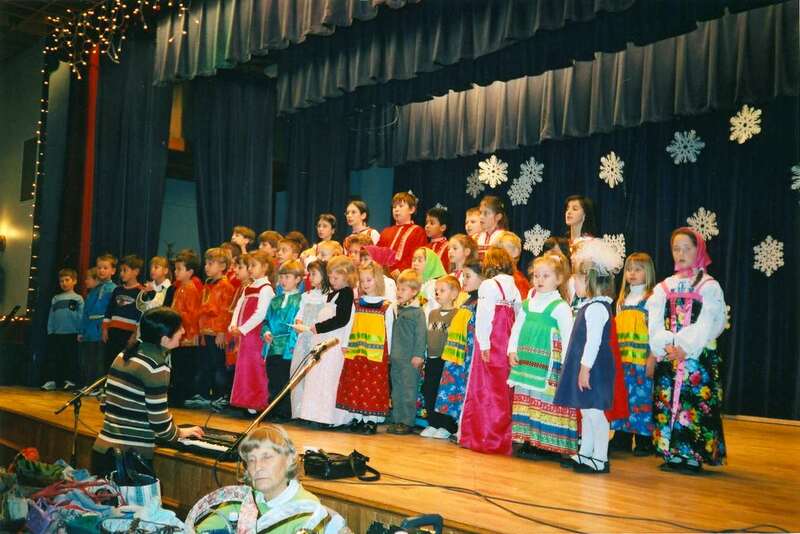 Every Christmas, the school staged a Yolka performance and there was a year end ceremony in June which included awarding certificates/report cards, a graduation ceremony and performances by all age groups in choir, orchestra, dance and recitations. Over the years, attendance had declined from 40 to 8 students, due to the lack of Russian immigrants in the 80's. In the last 8 years, the school has blossomed to over 80 students, thanks to a new influx of Russian immigrants. The school continues to stage Yolkas, June ceremonies, and give lessons in reading and writing. However, today there are 8 different grades, including a kindergarten and preschool group, and students are offered a variety of subjects including Math, Social Sciences, Art, Drama, History and Literature. The school is recognized by the Vancouver School Board and our graduates have been given high school language credit for completing all grades at the RCC. In 2010, the RCC Children's Language School will be celebrating its 40th anniversary.